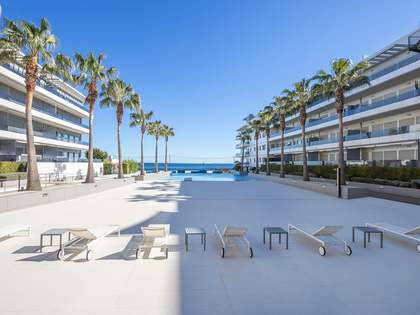 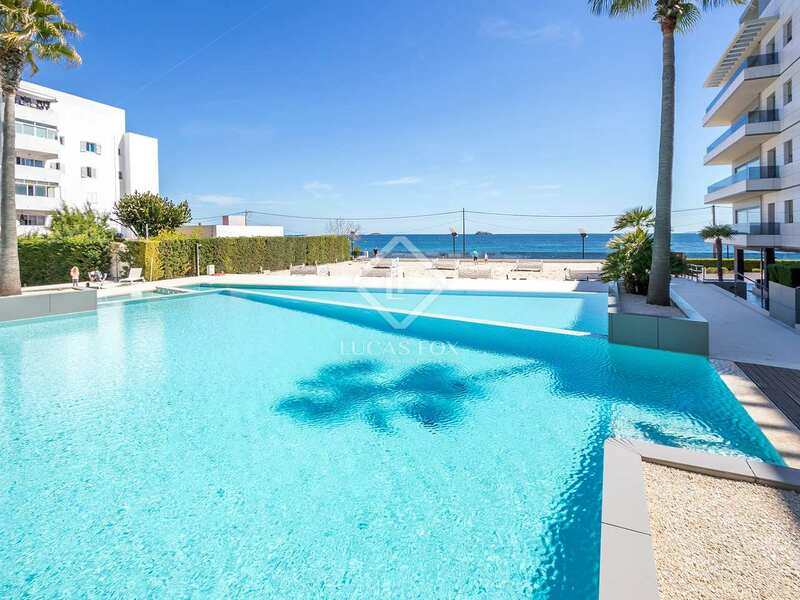 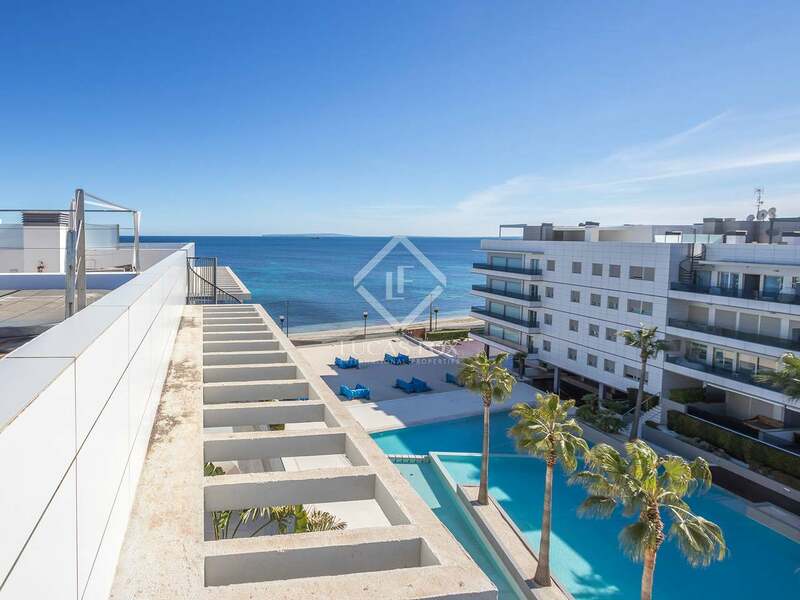 Found in the most vibrant area of the island, near all the best parties but far enough away that it is quiet, this penthouse enjoys stunning sea and pool views. 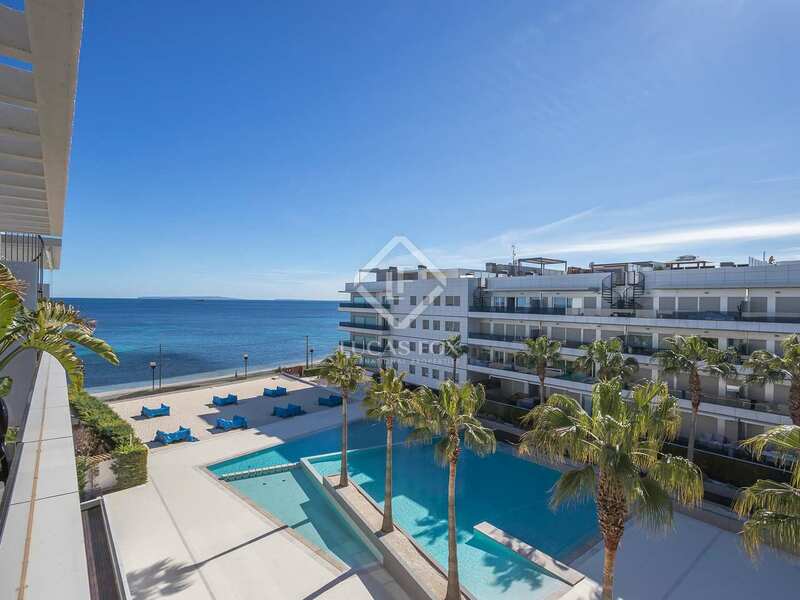 The penthouse can be found on the third floor of a building with a lift, security and a concierge service. 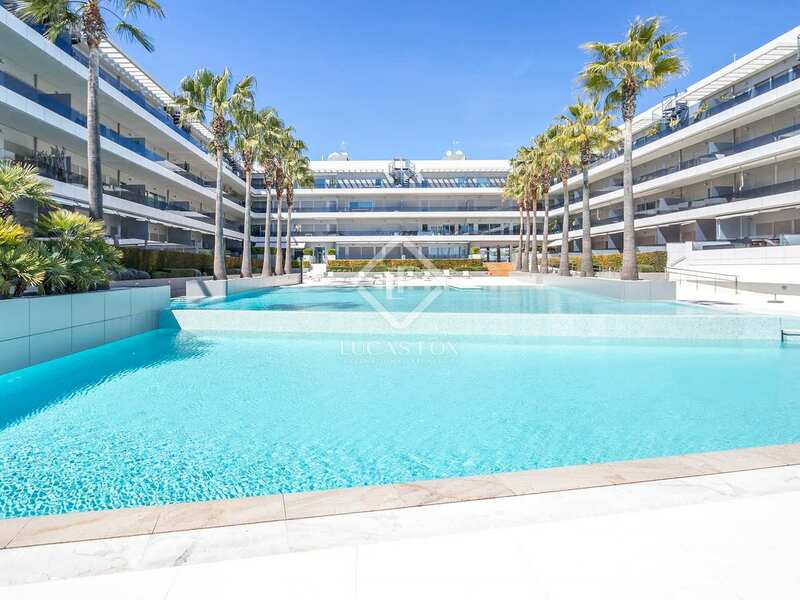 The penthouse also benefits from access to a communal area which has a stunning garden with tall palm trees and a huge infinity pool. 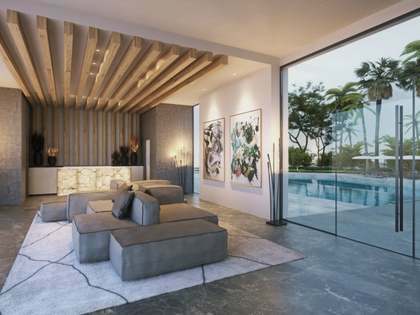 There is a small artificial beach with Balinese beds, to the right of which is a shady chill out area with beds, ideal for reading or having a massage. 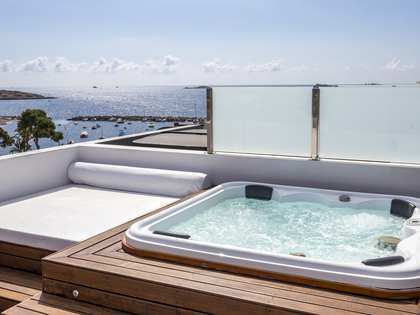 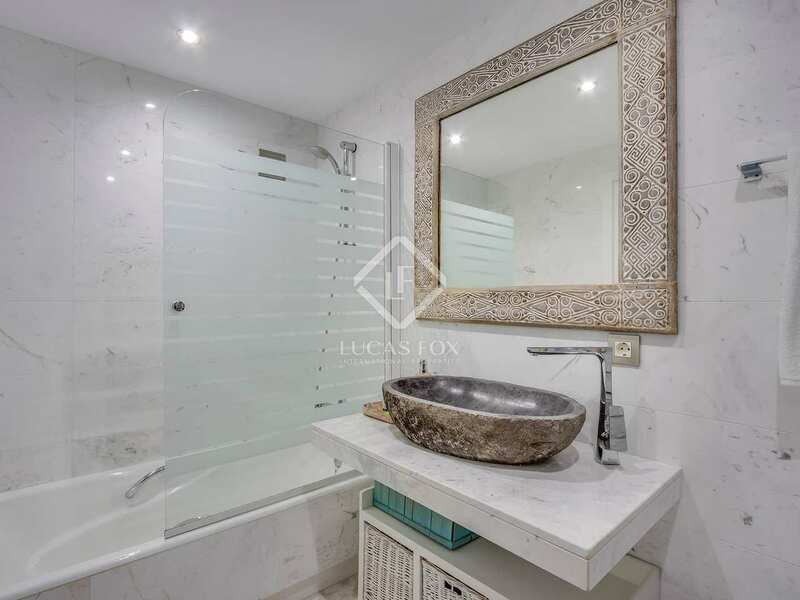 On entering the property you find yourself in the living area with one glass wall leading out on the balcony and stairs up to the rooftop terrace with a jacuzzi, from where you can enjoy one of the best sunsets on the island. 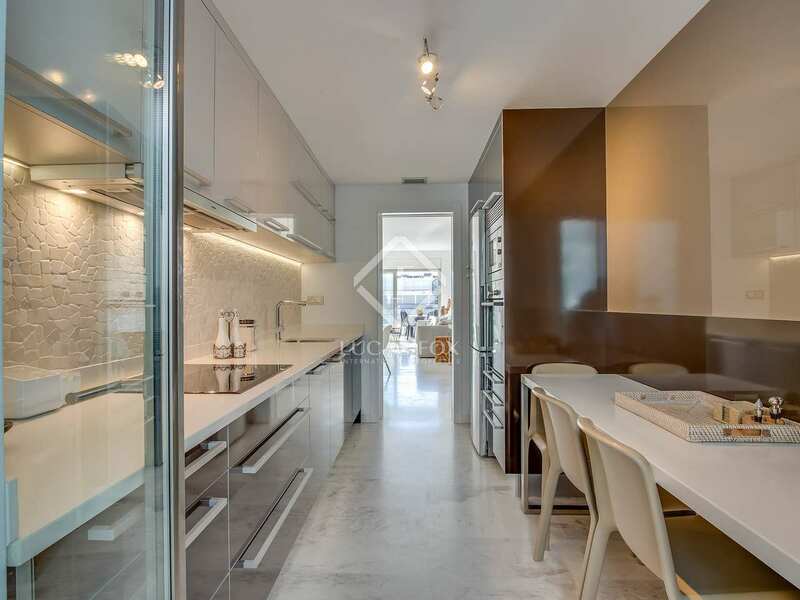 To the right you will find a separate kitchen area with a washing machine, whilst to the left is the 'night' area of the penthouse, with 2 bedrooms and 2 bathrooms. 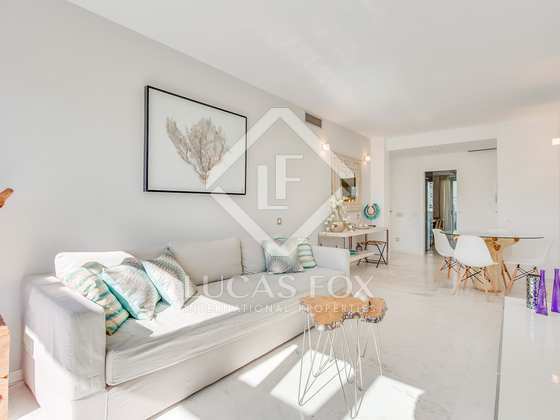 The property benefits from plenty of natural light, due to being exterior, and comes equipped with air conditioning and double glazing, as well as a storage room and a parking space. 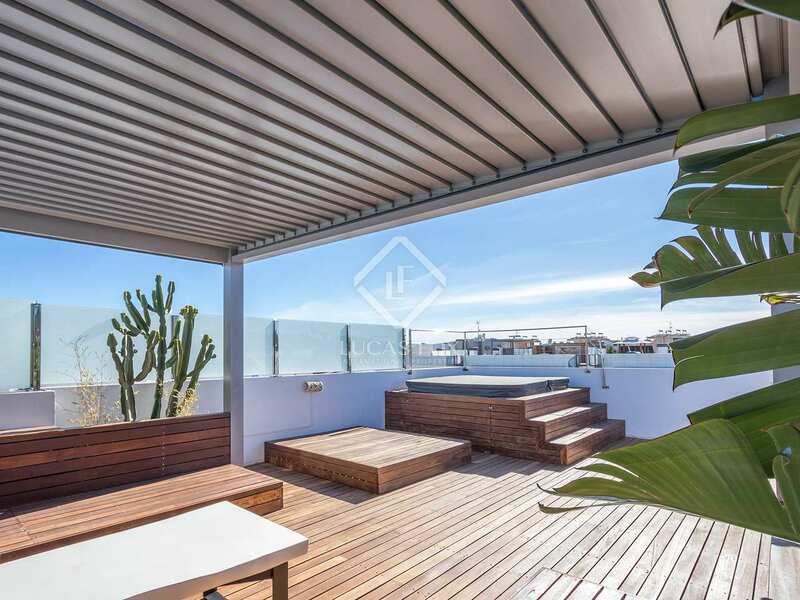 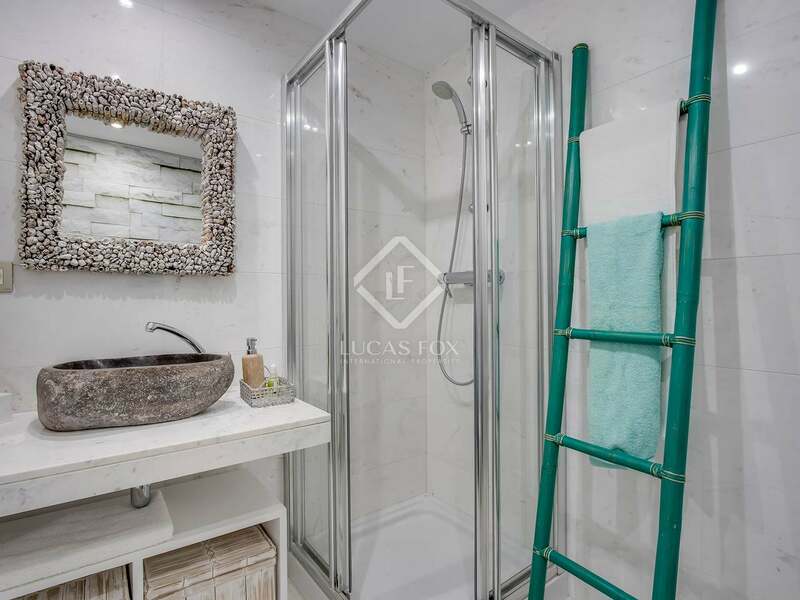 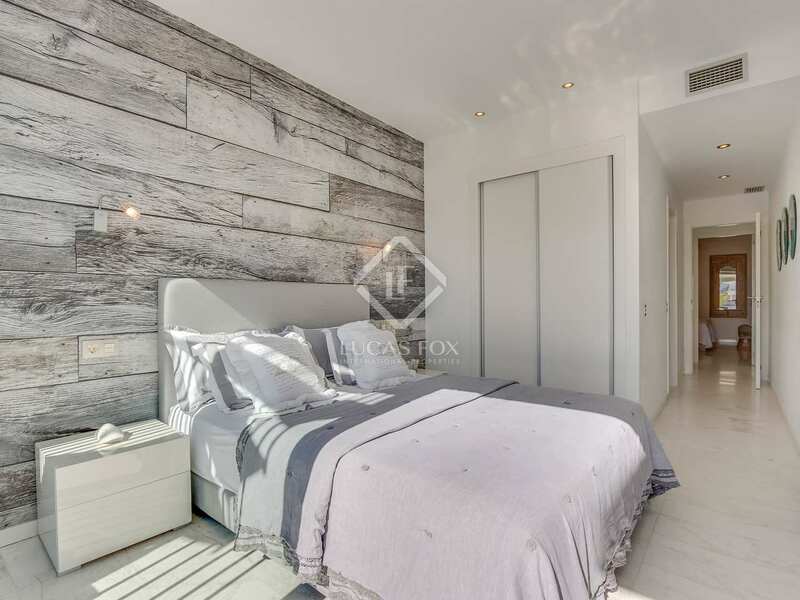 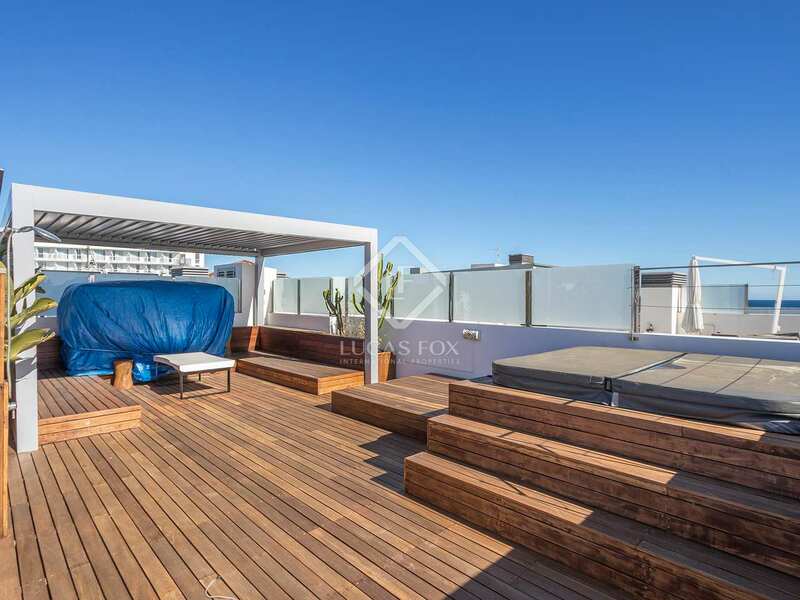 This penthouse would be ideal for young couples wanting to live in a vibrant and fast paced environment, as well as for investors, due to its desirable location and high quality. 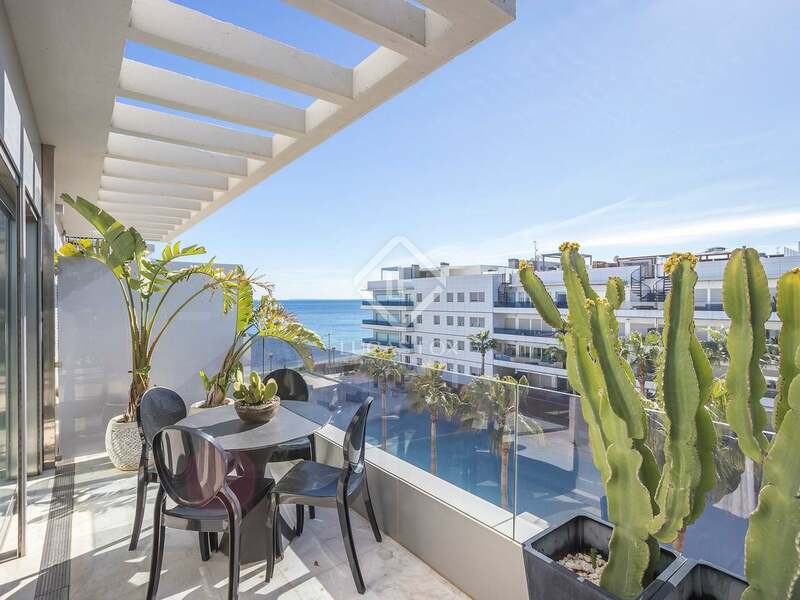 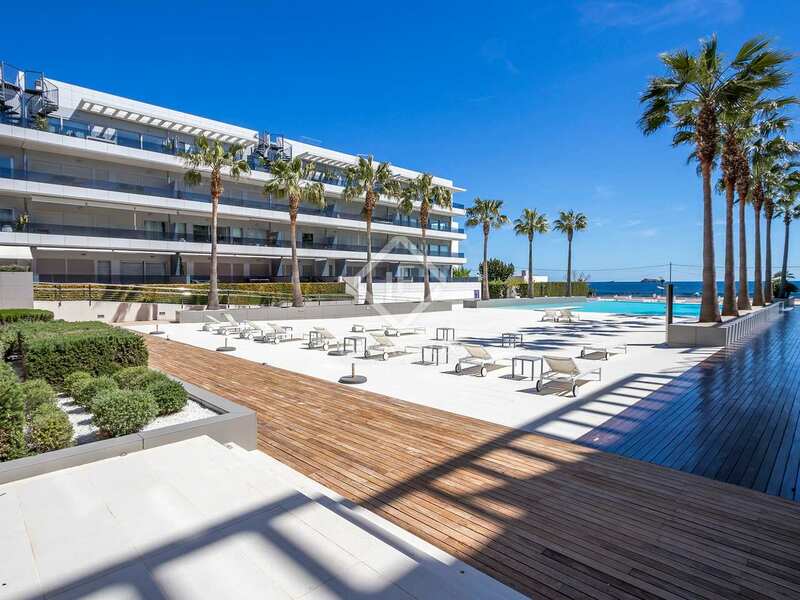 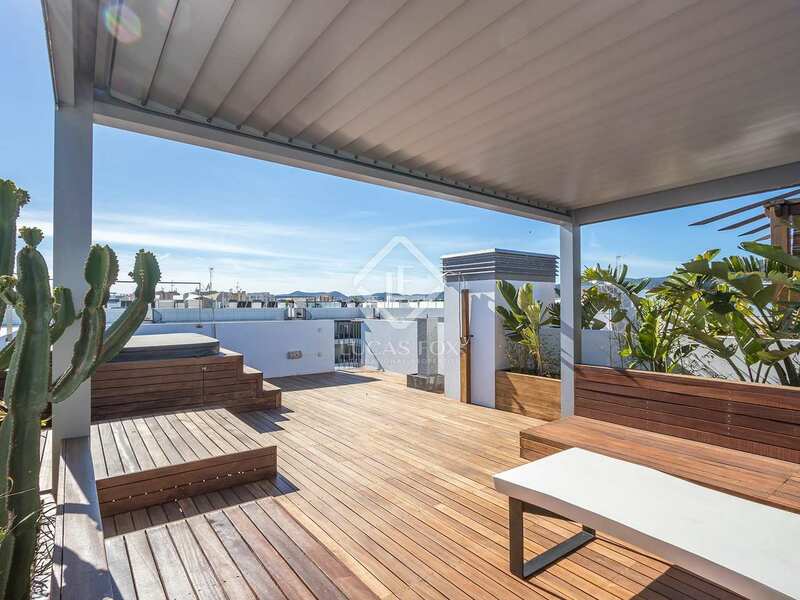 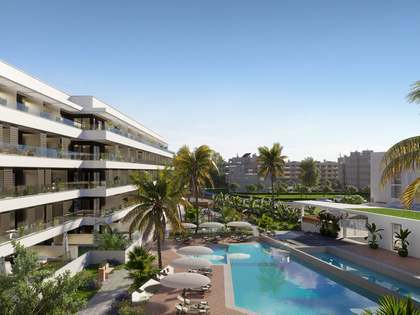 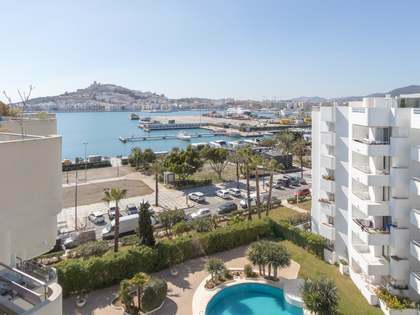 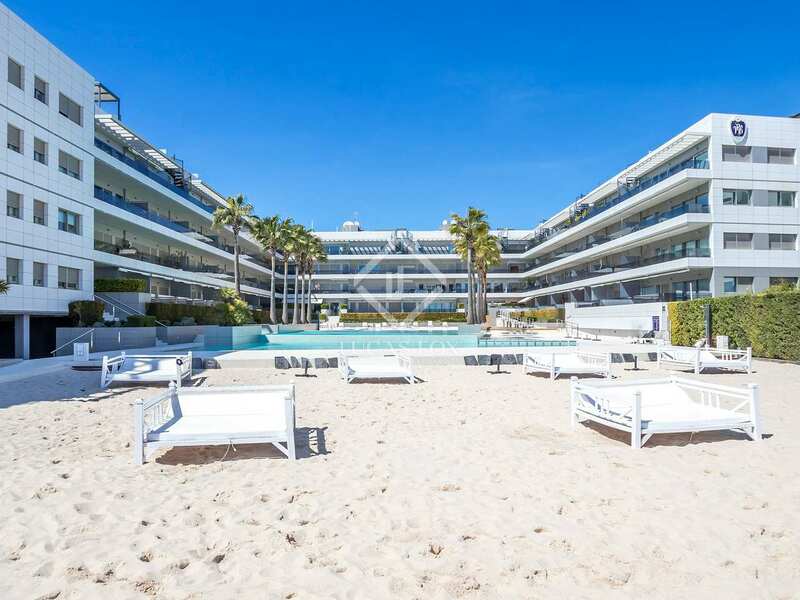 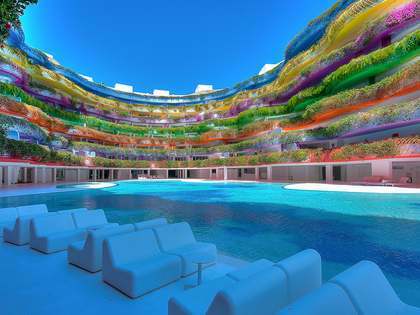 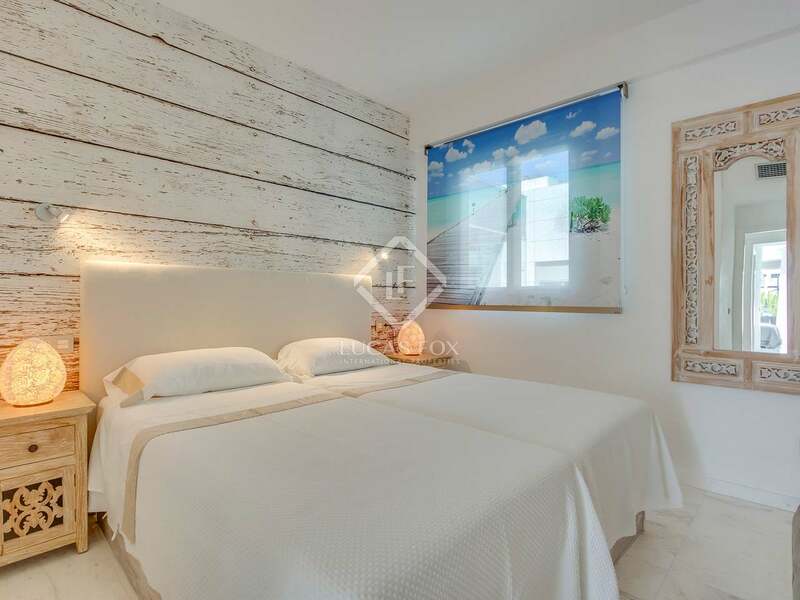 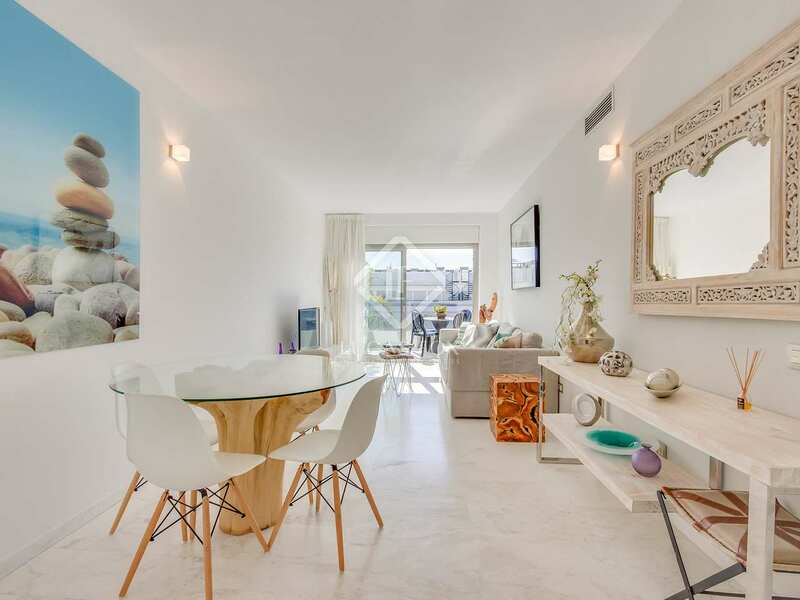 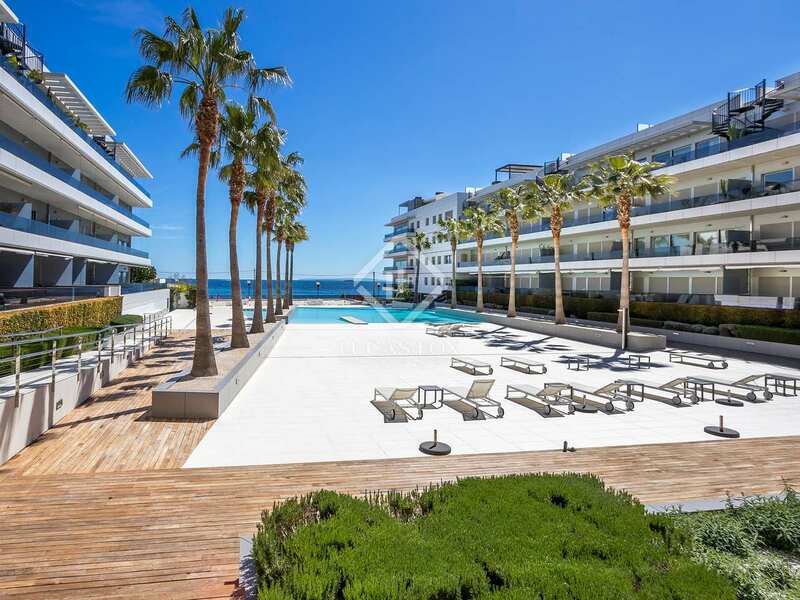 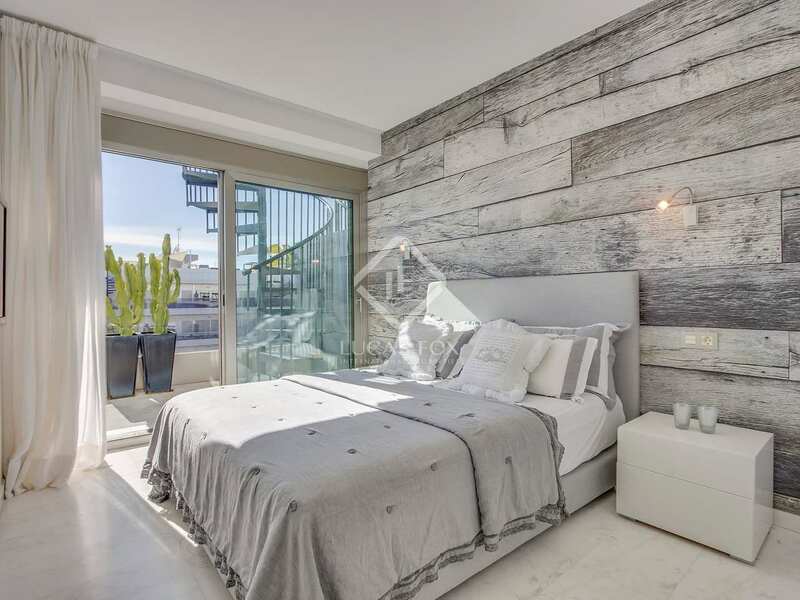 Found on the Playa den Bossa, the penthouse is in one of the most vibrant areas of the island. 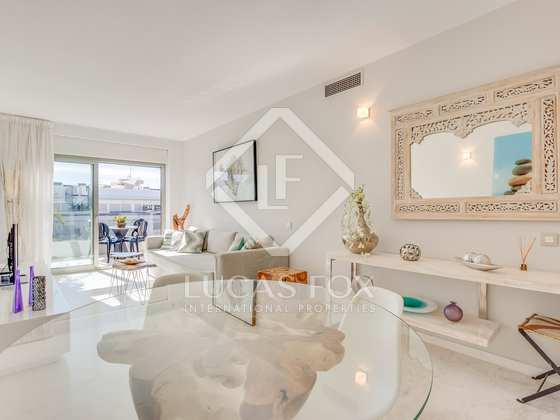 It is less than a 1 minute walk from the beach and very close to the city centre. 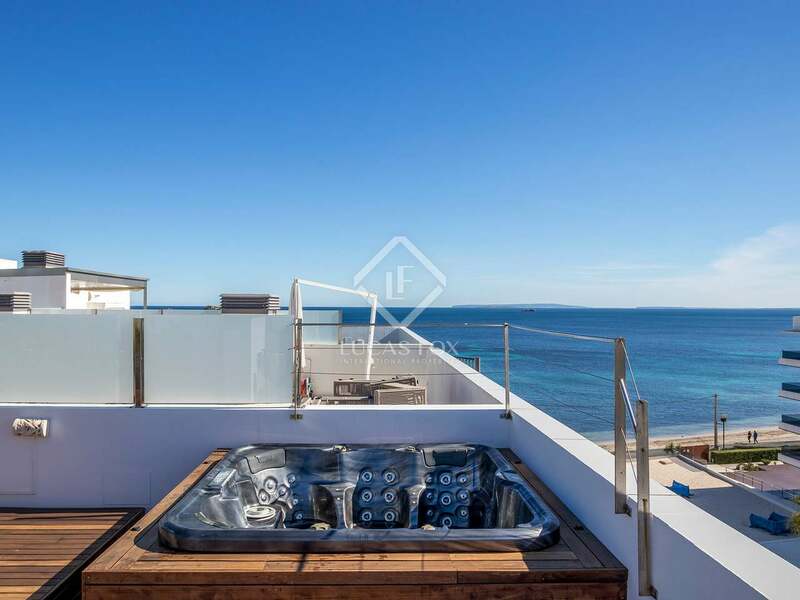 The penthouse is also well connected to public transport, with a bus stop less than 1 minute away.